Can A Baby Be Born Addicted? Almost every drug that a woman takes during pregnancy passes through her bloodstream and on to her developing baby. That includes both prescription medications and illegal substances, such as cocaine, amphetamines or opiates. Using illegal drugs can put an unborn baby at risk for a variety of health and developmental problems, including the possibility of experiencing withdrawal symptoms after birth. Technically, a baby affected by a mother’s drug use is not born addicted, since the term addiction applies to the person choosing to do the drug. However, a baby can still be harmed by a mother’s exposure to drugs and suffer serious withdrawal symptoms when no longer getting that drug through the mother’s bloodstream. Neonatal abstinence syndrome (NAS) is the name for the symptoms babies experience after birth because they have been exposed to an addictive drug before birth. Babies may be most likely to suffer NAS symptoms if their mothers used opiates such as heroin, codeine, oxycodone, methadone or buprenorphine. A baby may also suffer withdrawal symptoms if the mother regularly drank alcohol, used cocaine, amphetamines, benzodiazepines, barbiturates, and certain antidepressants (SSRIs) while pregnant. As more adults use and become addicted to opioids, the number of babies born with NAS has grown dramatically. In some U.S. states, the incidence of NAS increased almost 300% between 1999 and 2013. The most common cause for babies suffering NAS symptoms is maternal opiate use. Between 55 to 94 percent of all babies born to mothers addicted to opiates suffer from withdrawal symptoms such as tremors, irritability, muscle spasms, seizures, sweating, vomiting, dehydration, and diarrhea. Babies with NAS may cry almost constantly and often inconsolably. These withdrawal symptoms can start within the first 24 hours after birth or begin as late as 10 days after. The symptoms can last for months, requiring hospital stays of six weeks or longer. In some cases children require ongoing treatment after they leave the hospital, including medication and physical therapy. Recent research shows that the effects of being exposed in the womb can be long lasting. A 2017 study followed the school career of children born to opiate-addicted mothers and noted that they performed progressively worse in school as they got older. When babies are born with NAS symptoms they are closely monitored in a special neonatal unit. In an attempt to comfort them, they receive plenty of close physical contact, usually supplied by volunteers at busy hospitals. NAS babies may also have a difficult time feeding requiring special formula to gain needed calories. 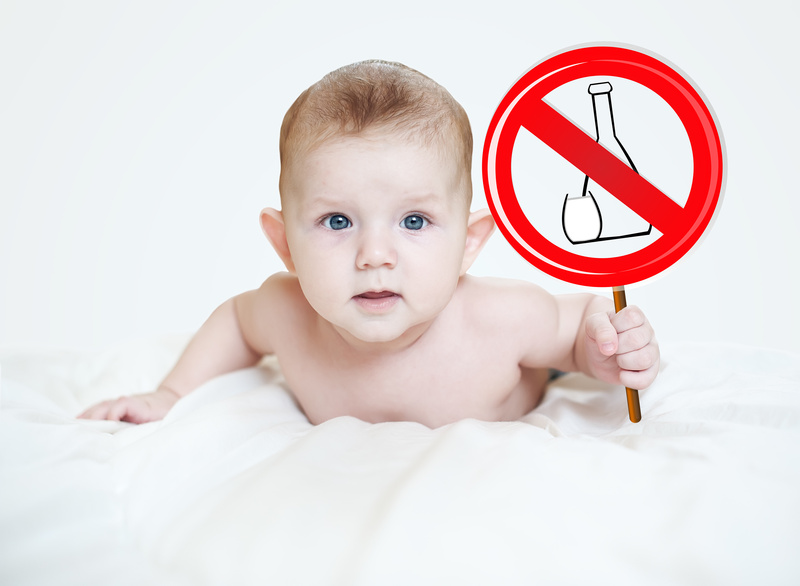 Not all NAS babies will require medication, but some may be prescribed decreasing doses of medications such as morphine or methadone to wean them off the drug they were exposed to before they were born. Doctors prescribe just enough of the medication so that the baby can sleep and eat well. The best way to prevent NAS is for a mother-to-be not to use illegal drugs. If she does become pregnant while using drugs, she should talk to her doctor about the best and safest way to stop using them. Prenatal use of amphetamines, for example, can lead to low birthweight and premature birth. Cocaine use during pregnancy can cause premature labor, miscarriage and birth defects. Regular alcohol use during pregnancy can cause physical and developmental birth defects. Tranquilizers can also cause birth defects. Maternal opiate use may cause seizures. A mother using illegal drugs is also more likely to engage in high-risk behavior that threatens her own well being and that of her child. For example, she is at a higher risk of contracting HIV and AIDS. Due to her addiction she may not get the prenatal care she needs for her developing baby and she may not be ready to provide a safe, stable home for her newborn. Caring for herself and her baby will be easier if the mother is in recovery. Women who are addicted to opiates may be prescribed the drug buprenorphine, which helps diminish opioid cravings and prevents withdrawal. While this drug can still cause NAS symptoms in babies, symptoms are not likely to be as severe. A mother who is in recovery is also better equipped to care for her baby. How Do I Know If My Baby Has Pertussis? Is It Just A Birthmark Or Something Worse?